Product prices and availability are accurate as of 2019-04-17 13:01:48 EDT and are subject to change. Any price and availability information displayed on http://www.amazon.com/ at the time of purchase will apply to the purchase of this product. Preserve and share your memories with Roxio Easy VHS to DVD Burning and Video Capture for Mac. Capture video from analog sources and preserve it by converting to digital formats to burn to disc. 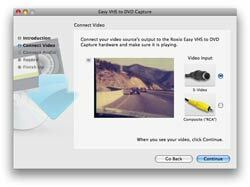 Transfer your footage from your VCR and analog camcorders including Hi8 and Video8 to DVD in just a few clicks. 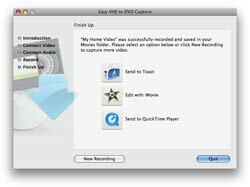 Create your own movies by importing into iMovie to edit your video and add effects, titles, and transitions. Share your video with friends, family, and others by direct uploading to YouTube and social networking sites. 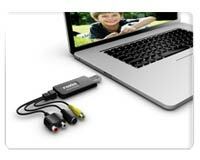 Conveniently watch your videos on mobile devices including iPod, iPhone, and Sony PSP. 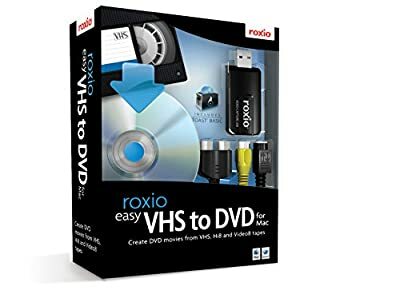 Roxio Easy VHS to DVD for Mac includes everything you need to easily transfer video from VHS, Hi8, V8 or analog camcorders to DVD. Perfect for digitizing and protecting home videos on outdated media. 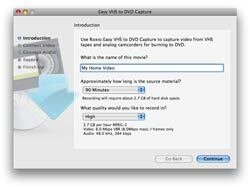 Easy VHS to DVD for Mac supports most analog camcorders, VCRs and even DVD players. 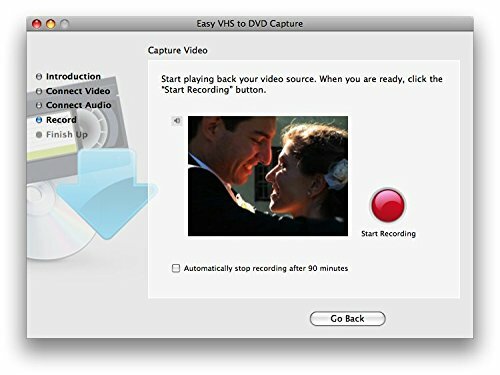 Capture video at full DVD-quality resolution. Add Hollywood style menus and chapters for impressive results. 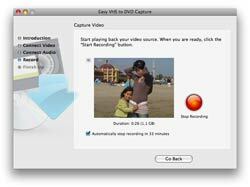 Edit your captured movies in iMovie to add titles, transitions and other edits. Great for transferring videos to iPod or PSP too! Post finished videos to YouTube or your favorite social networking sites. The fastest way to convert your analog home video to digital. Click to enlarge. Connect composite video (RCA) and S-Video (mini-DIN) devices. Click to enlarge. 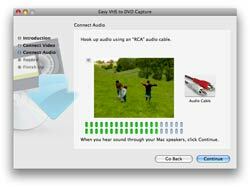 Import stereo audio (RCA). Click to enlarge. Supports most analog camcorders, VCRs and even DVD players. Click to enlarge. 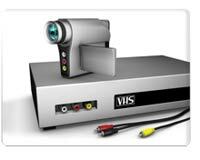 Post videos to YouTube; create VCDs, SVCDs and DVDs; and more. Click to enlarge. Everything you need to make DVDs from your VHS and camcorder tapes!